PESA is proud to announce that it has completed staffing its government affairs team with the hiring of Kristin Hincke and Michael Edwards. Tim Tarpley, VP of Government Affairs, who has been with PESA since July and most recently served as Chief of Staff to Congressman Ted Poe (R-TX) and began his legislative career as an aide to Congressman Thornberry (R-TX), welcomed two new Directors of Government Affairs to the PESA team. Kristin Hincke, who has most recently worked in the energy sector as a communications and political consultant based in Oklahoma City, will serve as Senior Director, Government Affairs. As a consultant, Kristin provided public relations and government affairs guidance to Fortune 500 companies, trade associations and nonprofits. Previously, she was supervisor of stakeholder relations for Devon Energy Corp, where she educated stakeholders on public policy issues. Kristin also represented energy and municipality interests on Capitol Hill for six years as a lobbyist for Vikki Cooper & Associates. Her professional experience also includes positions as communications director for the oil and natural gas trade group Association of Energy Service Companies (AESC) and communications director for Responsible Industry for a Sound Environment, an arm of national pesticide trade group CropLife America based in Washington, DC. 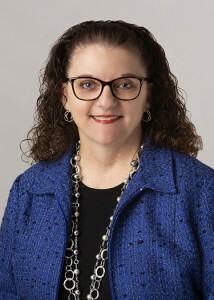 Kristin earned a bachelor’s degree in communications from the University of New Mexico and a master’s degree in journalism from the University of Oklahoma. Kristin joins Michael Edwards who recently joined PESA as Director Government Affairs. 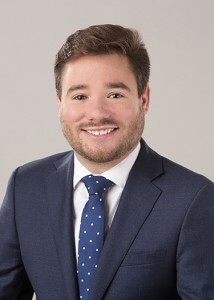 Michael previously served as Senior Legislative Assistant for Congressman Ted Poe (R-TX), for whom he worked for nearly five years in multiple roles. Michael was responsible for a wide portfolio of issues that consisted of defense and military issues; homeland security issues; veterans affairs; transportation and infrastructure issues; energy, environment and natural resources issues; financial services issues and agriculture. Michael was also tasked with staffing Cong. Poe on multiple Congressional caucuses, including the Congressional PORTS Caucus, which is one of the largest and most active caucuses in Congress with more than 110 members. The caucus focused, among other issues, on improving energy infrastructure at our nations ports, as well as approving LNG and crude export approvals. Michael earned his bachelor’s degree in history from Baylor University in 2013. The Government Affairs team recently hosted a meet-and-greet and tour with Congressman McCaul at BJ Services, the first of many of similar events. The team is also closely following state and federal legislative issues, as well as international trade policies.